Earn 1400 loyalty points when you order this item. 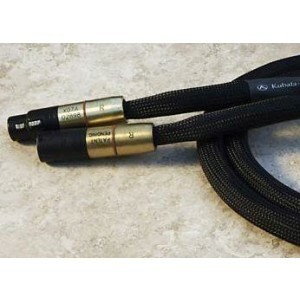 Expression features a version of "OptimiZ" as found in Emotion cables, making the Expression 75 Ohm coax cable the equal of many much more expensive digital cables, available in a selection of lengths. During the listening phases of development and testing, Kubala Sosna realised they had cables to challenge the state-of-the-art. Something that would compete with almost anything made. Something they would have a hard time improving upon. In fact, it was at this point in the development of " OptimiZ" architecture where the ideas were spawned that led to the Emotion Series; refinements of the design of the Expression cables. It was also at this stage they began to solicit input from audiophiles and dealers. These are the first cables others heard, and, the story is much the same – instantaneous recognition of something being right about the music. They were told it was coherent, harmonically accurate, detailed, extended, open, rhythmic, and sweet. 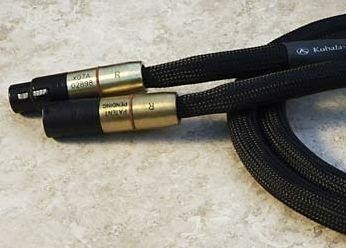 In a blind test, three different developmental versions of this series were chosen over some of the most expensive and respected cables available; and the final version is the version available here - better than any of those three!